Planning, food, equipment; its not that I don’t have enough to do over the next few months in the lead up to the start of my Bibbulmun Track thru hike but this week saw me ramp up my physical preparation to meet a planned average distance of approximately 200km a week with a fully loaded pack. Just what a fully loaded pack will be is still in the planning stages as I sort through my gear and identify what needs replacing, and what needs jettisoning. Having said that I know my maximum pack weight complete with food and water will be somewhere under 15kg so at least that gives me a figure to work with. In the past few years I have averaged between 75km-125km of walking/hiking on a weekly basis. 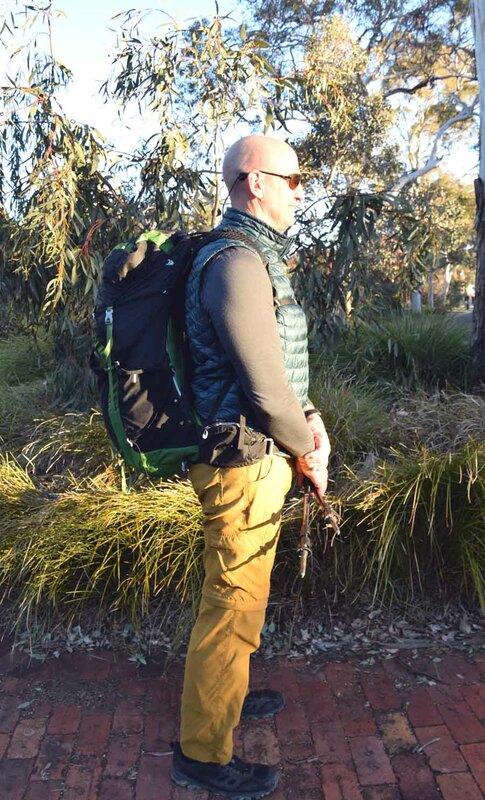 Most of this has been in hiking footwear and carrying at least a 5kg+ pack which includes walking on hard surfaces, natural trail, steep unstable hills and flatish ground. Most long distance hiking articles you read strongly recommend hiking with a pack on natural (uneven) ground as being the best preparation. In addition I am also working on my flexibility and strength training (for more detail listen to podcast episode 032 where Joe Bonington discusses preparation for long hikes/adventure activities). 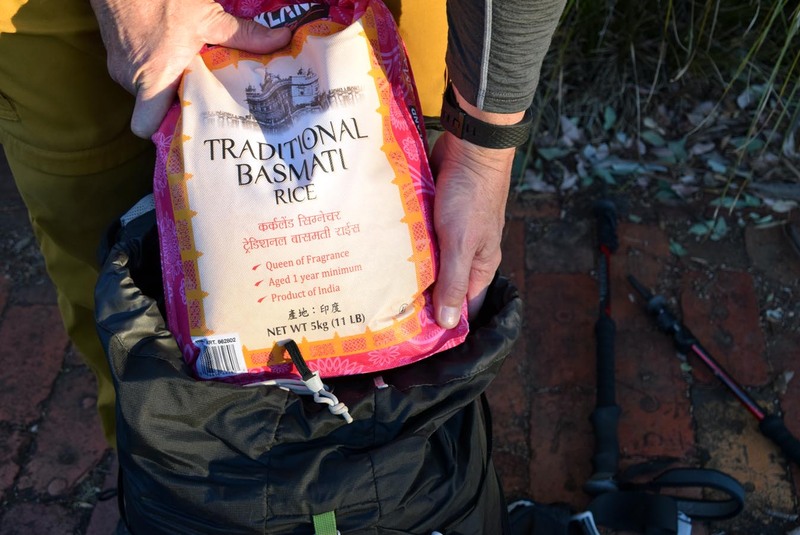 Over the past few months I have been steadily increasing the weekly distance I cover and this week saw me introduce a weighted pack which as it turns out weighs 17.5kg including 3 x 5kg rice bags, my pack, and a never ending supply of shopping bags to fill up the empty space in the pack. This additional weight will make my actual pack seem light when it comes time to step out in the real world. Over the coming 12 weeks I will be undertaking walks of varying lengths and difficulty ranging from just a few kilometres to anywhere up to 40km in my lead up preparation.